Sometimes evildoers need to learn how to do the kinds of things that normal mortals are born knowing about. Tickling, for instance, is something that a great many (not to say all) supervillains find alien to their natures, even though knowing about how to execute a good tickle could well be a valuable part of their repertoire in the proper circumstances. Perhaps it is those many youthful solitary hours spent, or maybe something burned out by early trauma, or it could be a simple failure of commonplace empathy. In any event, once the rudiments of the technique are conveyed, it is something that nearly all evil fiends can master over time. Understand the physiological basis of the tickle. Humans can be tickled. Apes can be tickled. Dogs can be tickled. Fancies can be tickled. Bacteria probably cannot be tickled, nor corpses. The sensation of some small foreign object rubbing up against one's skin is one that might have signaled infestation by insects at one point in evolutionary history, prompting a reflex to dislodge or destroy the source of the sensation. Notice that as a corollary those who lack working touch sensors and nervous systems (such as those in deep comas) cannot be tickled successfully. It is difficult, though not unheard of, to tickle oneself, and especially difficult to commit suicide by tickling. Calibrate the amount of force. The tickle is one of those things which can suffer when it is executed in a heavy-handed manner. 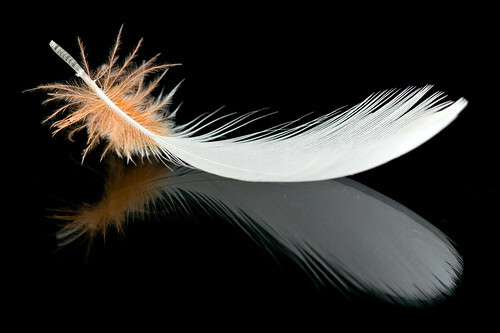 You might think that if a feather produces X amount of tickling sensation, then a thousand feathers would produce a thousand times as much ticklishness, but it generally does not work that way. This is why the scheme to build a huge drum filled with feathers so that a victim could be tickled thoroughly generally doesn't work. It also tends to be the case that nanomachines fall below the threshold of touch and cannot tickle very effectively (though nanobot mediated itching is possible). The implement. Bare-handed tickling works, but it is possible to enhance the effect by using something more delicate instead. A feather is a good choice for beginners, but advanced practitioners might find it a bit boring and predictable, preferring the point of a dagger or the wingcase of a death's-head beetle according to their sense of élan. The motion. The kind of touch that brings about the best tickle is an intermittent, twitchy, uneven one. One cannot simply touch the subject of the tickle once and expect them to be tickled and remain tickled. Nor can they be expected to respond to a regular stimulus, since they can learn to anticipate it and tune it out. As part of torture. This is the most common situation: you have someone who possesses some vital information you wish to extract, or whom you wish to neutralize by way of revenge. The best is if you have access to a torturer well versed in the tickling technique, as so many are familiar only with inflicting pain and suffering, and have forgotten the real meaning of "keep them in stitches." Execution. Often you want to tickle a victim to death, either as part of a villainously ironic scheme or because you lack other means of dispatch. It is time-consuming, but a more memorable death chamber experience is hard to find. Incompatibilities. Remember that tickling should be employed prior to such techniques leading to insensibility or gross somatic damage which greatly reduce its effectiveness. A skilled torturer can take the level of stimulation continuously from a creep-inducing tickle all the way up to screaming madness with scarcely a break. Distraction. If one has a lapse in concentration, there can be a sense that the subject is not reacting quite so vigorously, only to find that one has been inadvertently stroking the tabletop for the past few minutes. Try to keep in mind that tickling is serious business. Carbon dioxide laser tickling ray. With variable output. Created by: GrinningSkull. Last Modification: Monday 16 of November, 2009 18:46:49 EST by GrinningSkull.